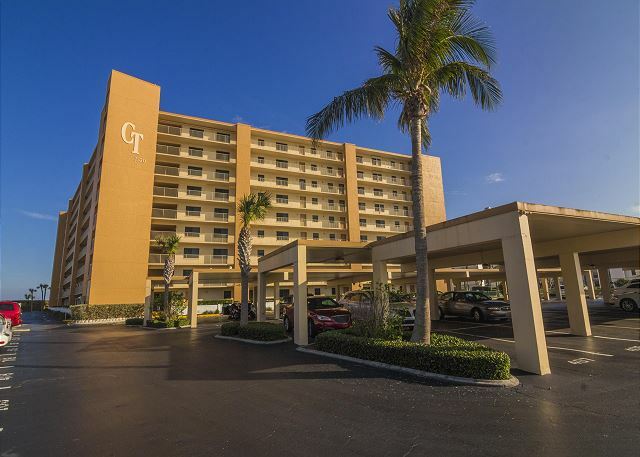 This condo features two master suites with king size beds and private bathrooms and a guest room with bunk beds (twin and full) and additional twin. Open floor and tile make this a great entertaining space with balcony access from both master bedrooms and the living room. Balcony has outdoor dining set and has northside view of the beach. We had a great stay at this Condo. It was very roomy for our family of 8. It was very clean and well appointed, containing just about everything you would need for a week away. The free WIFI was a nice plus. The unit also contained beach chairs, towels, sand toys, cooler, umbrella, and water boards. The view of the ocean and pool from the balcony was great! If in Cocoa Beach again, we would stay here again. Great location. Lots of room for family. Everything you need! 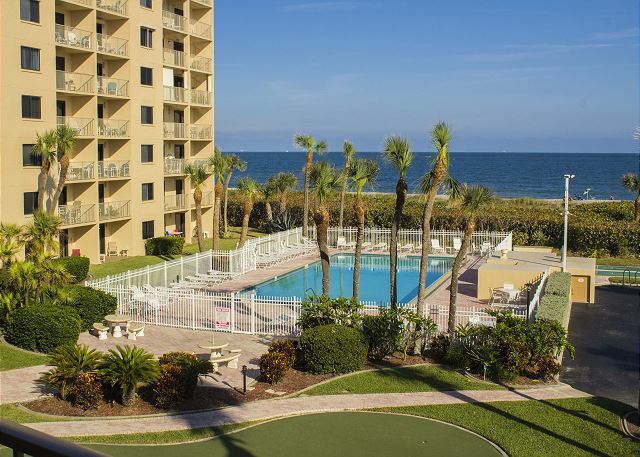 Updated, family friendly beach front condo. Well maintained and easy to find. Thanks for the positive feedback and nice review. The beds were not very comfortable. 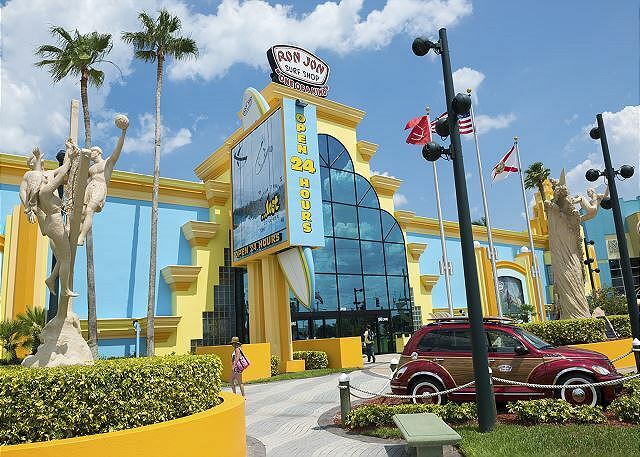 BUT with that said, if we ever come back to Cocoa Beach we would stay here!!! It was clean. There were awesome chairs umbrella beach toys....the location is perfect. Absolutely a wonderful family vacation. An absolute perfect place to stay! We have a family of 6 and we had more than enough room. Would highly recommend this. 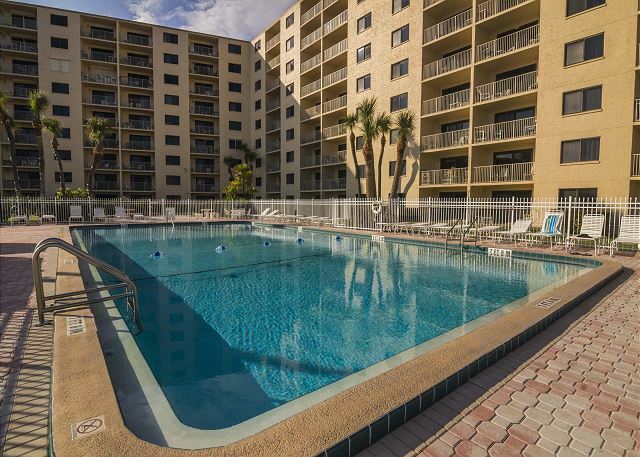 Pool and beach are right in front of you. We had a great stay at Canaveral Toweers 310! Clean, great set up, especially the kids having a room to themselves. Beach access was great and the pool and/or beach never seemed to be crowded which wa great! Thank you so much for the nice review. The cleaning staff works very heard to try and make things nice for renters arrival. We will let them know. Thank you for being our guest and come stay with us again. Thank you and we are glad that you and your family enjoyed your stay. Come see us again. Very clean nice condo close to everything . My family had a great time and it's not crowded like a lot of the other beaches in Florida great for families. We enjoyed this condo very much with the extra bed in the children's bedroom. It met our needs and the condo was very spacious and well decorated! A lot of little things like sprayers in the showers, and plenty of beach towels, toys, putters and golf balls for the putting green, etc. Having a Washer and Dryer was fabulous! Beautiful views and beds were very comfortable! Stayed in many units at Canaveral Towers and 310 is our new Favorite! 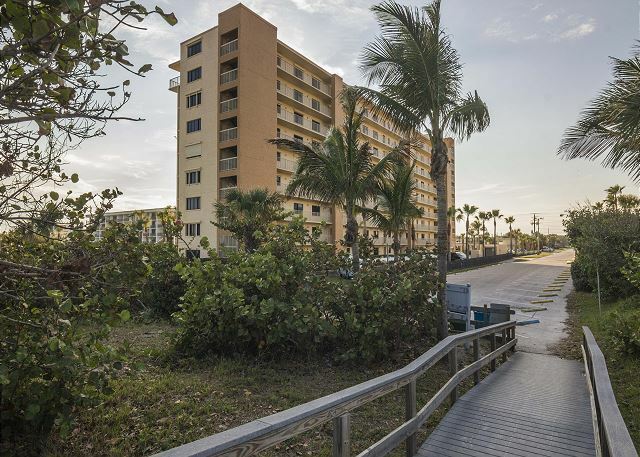 Beautiful condo on the beach with lots of room! We enjoyed our stay and plan to come back next year! We had six in our family and this condo was perfect. The views were great and it had everything we needed. It was nice having two king size beds in two of the bedrooms. We have stayed in Canaveral Towers two other times and this one was the best and we will return again. We stayed as a family of 5 combining a beach vacation with trips to Universal Studios and Kennedy Space Center. The 3 bedrooms were nice, plenty of room. Plenty of pots and pans and dishes for our stay. 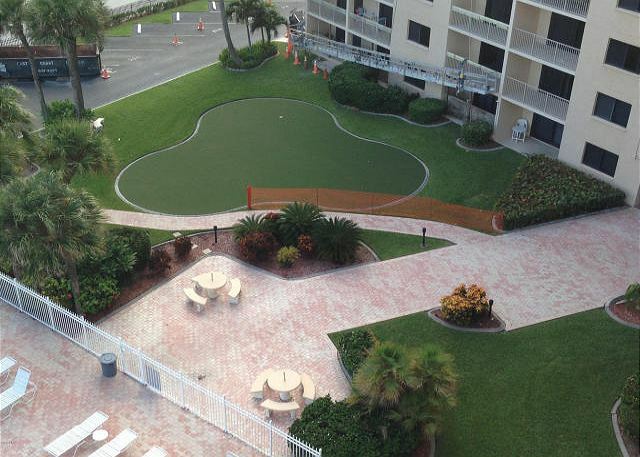 Condo access keys are required for access to beach, elevator, stairwells, etc. The furnishings were nice and clean. Some of the beach chairs, sand toys, and coolers need to be replaced or discarded. 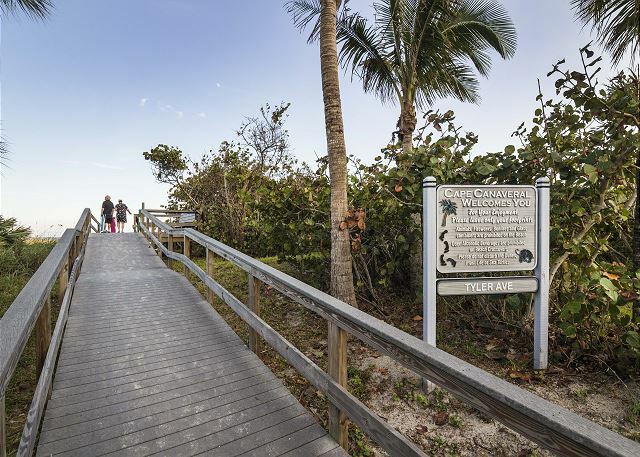 The beach is great and just a few miles from The Pier and restaurants. The coast is very nice and great views of KSC. Not that much around beyond The Pier and Ron Jon's. But this was easy drive to parks - about 45 minutes to Universal Studios and Disney. Agency was easy to work with and very responsive. Thank you for the feedback and we are in the process of upgrading the beach supplies. The condo was very clean, well stocked kitchen, plenty of towels, and also included beach chairs, some pool noodles, and sand toys for small children. Great views. Enough room for the family to enjoy their own space! The property was not "lavish" as explained in the advertising however it did have all we needed. 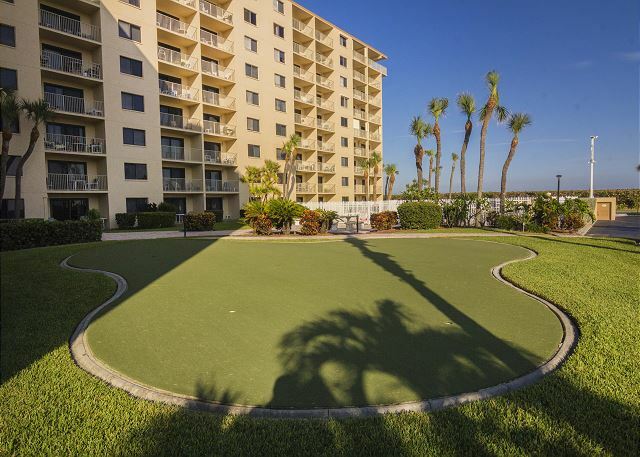 The carpet was stained and a few minor items in need of repair but it had all we needed for a short stay at the beach at an affordable price unlike a lot of beach rentals. the stay in the unit was exceptional until we decided to evacuate for "Mathew" coming, which was not a fault of the condo. Only known disadvantage: there is only one kes, means you can`t go to the beach and somebodey else staying in the flat at the same time. Clean, well equipped, nice beach. Wish the pool stayed open later. Closes at dusk. Beautiful property right on the beach! The condo provides everything you need including a washer and dryer. The owner is very responsive to any needs you may have. I would definitely stay here again! I went with my family (grnadkids included) and had a great stay. The place is quiet and clean. Good access to the beach. I recomend it and problably come again. Enjoyed our stay at the condo. The only problem was that when we arrived we did not have the keys to the condo. After a long phone call, we finally received a key from housekeeping. CT110, A piece of Heaven! Had a wonderful relaxing 2 weeks, enjoying the beach and the crystal clear pool. We enjoyed our stay at CT310. Both the property in general and the unit were both clean and well maintained. This condo was very clean when we arrived. Plenty of cookware and dishes. Everything you would want but couldn't pack: beach towels, boogie boards, kites, cooler, lawn chairs. Fantastic view of the ocean. Plenty of space. Everything related to the rental and our stay was truly flawless. We had a great time, again, in this condo. The view is outstanding and the access to the beach is great. The condo is well situated and well equipped for a larger group or family. We were initially looking for a house with a pool but we started looking a bit late and the good ones were gone. Had never thought about a condo before but since we had friends coming from Europe and the dates were firm we decided to give it a try. The condo itself was very nice, with adequate space and a great view. Overall condition was very nice and it was well furnished. The beach was beautiful and clean. The young child with us preferred the pool so we spent quite a bit of time in there. Entire pool area was nice and clean and the water was perfect. I think we all changed our minds a bit and we would definitely consider renting a condo again for our next joint vacation. Great. Condo size and layout was perfect for two families. the apartment was very clean and in very good shape. there was all there we needed for our stay at the beach.The information for the check in was in time and all worked very well. Also during our stay, mails were answered immediately. summarized it was a perfect accomodation for our stay at cocoa beach with our three childern. Our stay was excellent. The unit is well set up and nicely furnished, has easy access to the beach and is close to everything in the area. 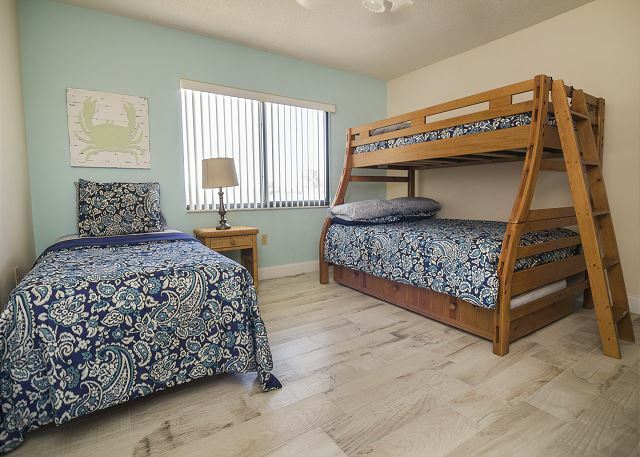 The rooms are large and comfortable, and all beds were noted by us and our friends as being very comfortable, This is a great place to stay for access to all the things in the area, including Cocoa, Cape Canaveral, and the Kennedy Space Center. We would definitely stay here again. We loved the condo. The view was beautiful. It was perfect. Thank you so much. We rented from Cocoa Beach Best. There was an issue with our original rental whereby the pool was being serviced. The realty company notified us and instead of saying "Sorry, not our fault" they took the extra step and gave us an upgrade to a better unit and were in constant communication throughout the process right up until we arrived. High marks to Cocoa Beach Best. We will definitely use them again. For an older condo, this unit was a very pleasant surprise! My wife and I had actually booked another condo. My wife is handicapped and an elevator is critical for us to be able to navigate multi-story buildings. As luck would have it, the elevator at the original condo was scheduled for routine maintenance during our stay. The rental company recognized the potential problem for my wife and I, prior to our arrival, and made this condo available to us at the same rate. It was a bigger unit than what we originally booked and was very clean and in very good condition. It had plenty of amenities to make our stay comfortable. The view was good from the balcony and we were able to see the dolphins each morning as they cruised along the beach! We had some friends join us for a couple of days during our stay and we had a great time with plenty of room for everyone. It is very spacious and includes its own washer and dryer, so there is no need to use the facilities on the premises. Only two minor hitches that were not a big deal for us. The cable TV was not working properly, but since we didn't go there to watch TV, this was not an issue for us. Getting the key for the condo delivered to us took about an hour and a half, but should get better over time as this was a new unit for the rental company and they were still getting the bugs worked out with the HOA of the building. Again, a minor inconvenience, which may not be an issue for future renters. Overall, this was a great experience and a nice unit! We would certainly stay here again. 7520 Ridgewood ave #310 from Moving Pictures of Brevard on Vimeo.